Impeccably executed, every detail has been thoughtfully designed and finished at the highest level. With almost 5200 square feet of unparalleled beauty, highlights feature Open floor plan, Office, Butler Bar, Scullery walk-in pantry, Custom cabinets, Circular staircase with custom iron railings, oak hardwood floors, an elegant main level master suite, spa bath, and Custom lighting complete the main level. Upper Level has 4 additional bedrooms most with walk-in closets and Full baths, two bonus rooms leave space for a media room as well. 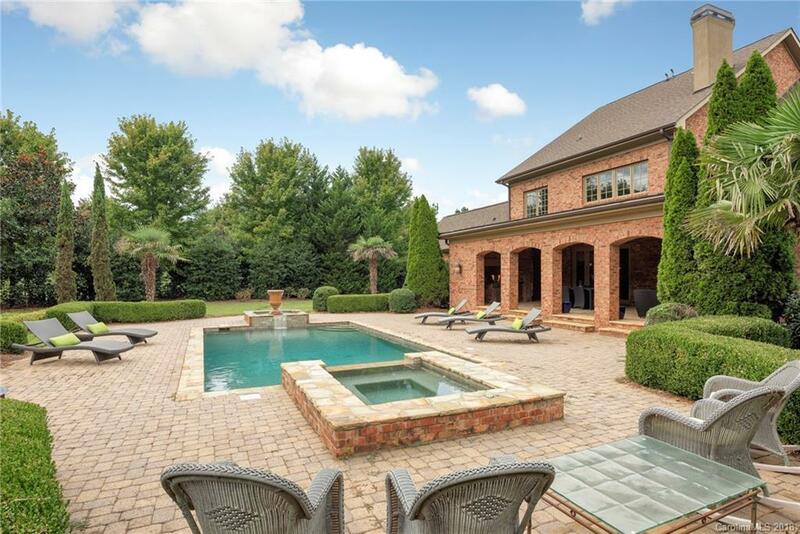 Within steps of the kitchen, master bedroom, and inside entertainment areas are a covered lanai with outdoor dining area, stone fireplace, granite bar with outdoor Grill, hot tub, saltwater pool, and a pool house changing room. Garage has 3 oversized bays with storage. This home seamlessly accommodates both large scale entertaining and comfortable family living.